Cut all the material needed for the storage shed roof frame. Spread the bottom to 97 1/4" Make sure the peak is in the center. Next nail a gusset where the rafters join. 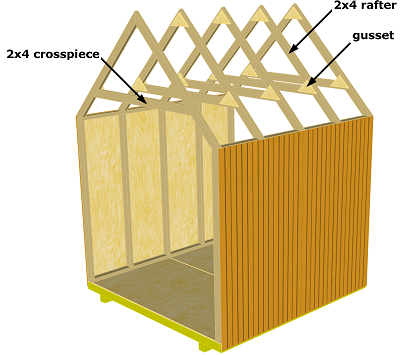 Use your first truss as a template to build the rest. 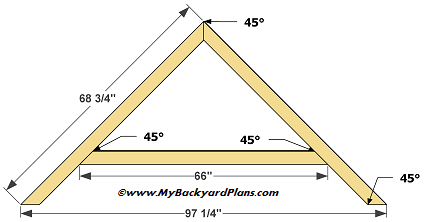 MAKE SURE ALL YOUR TRUSS ARE EXACTLY THE SAME. 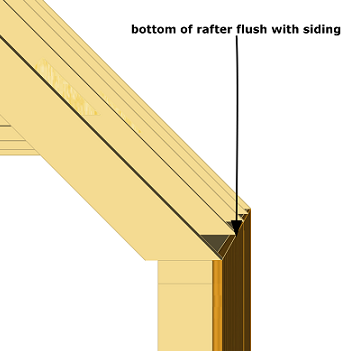 The bottom of the rafters will be flush with the siding. 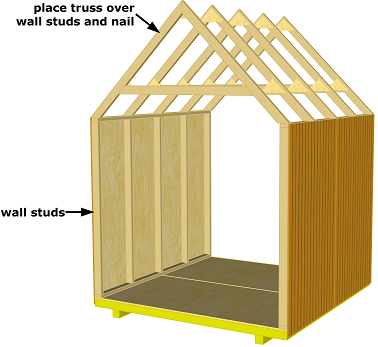 Place the truss over the wall studs and nail them.